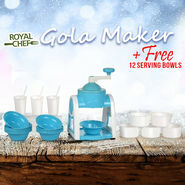 Royal Chef Gola Maker with free 12 serving bowls is an ideal & hygiene way device to prepare delicious & home-made golas, slush, margaritas & other drinks for your family members. 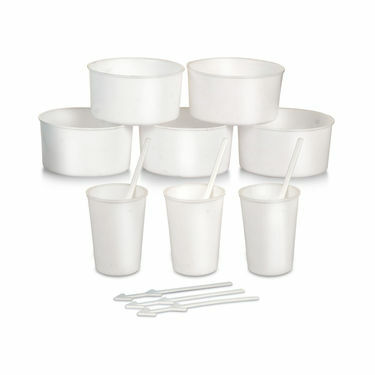 Made from ABS plastic body, it is highly durable and sturdy for daily use. 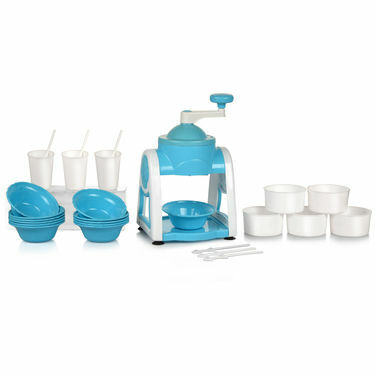 Due to its lightweight and compact design, once not in use it can be disassembled and stored in a box or kitchen cupboard. 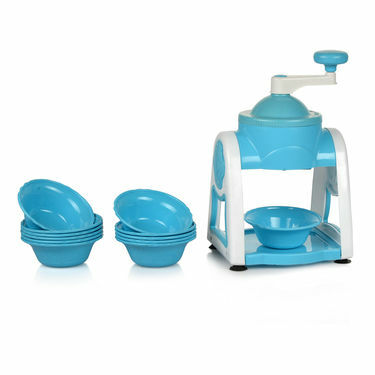 Also, the sturdy stainless steel handle, thus holds position while rotating the handle easily. 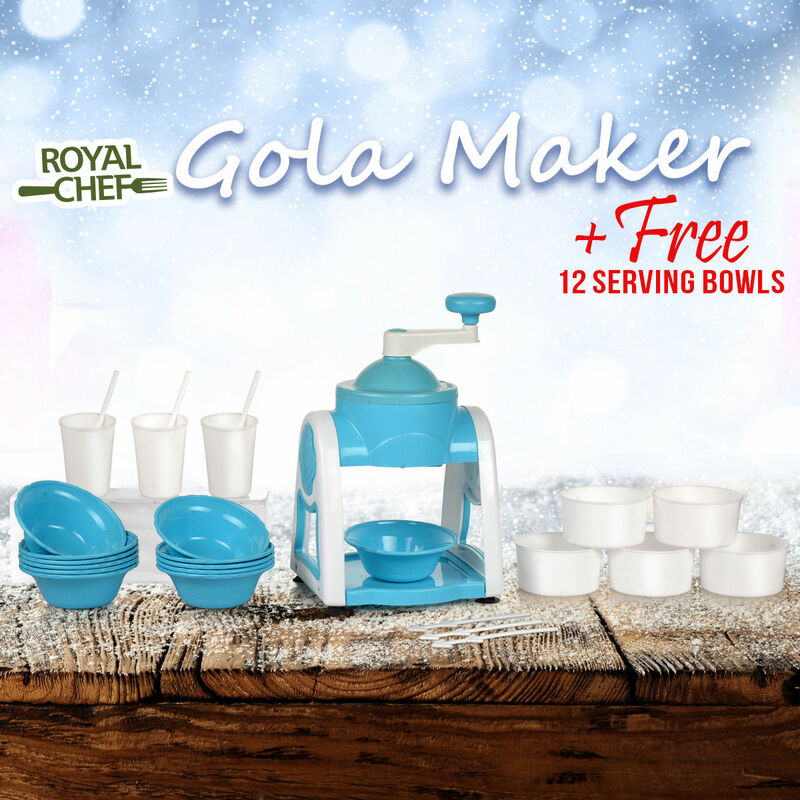 Royal Chef Gola Maker + Free 12 S..VSRoyal Chef Juicer - Buy 1 Get 1 F.. Royal Chef Gola Maker + Free 12 S.. VS Royal Chef Juicer - Buy 1 Get 1 F..
Royal Chef Gola Maker + Free 12 S..VSRoyal Chef Jumbo Juicer + Free Mu.. Royal Chef Gola Maker + Free 12 S.. VS Royal Chef Jumbo Juicer + Free Mu..
Royal Chef Gola Maker + Free 12 S..VSKitchen Press + 8 Pcs Snacks & Sw.. Royal Chef Gola Maker + Free 12 S.. VS Kitchen Press + 8 Pcs Snacks & Sw..
Royal Chef Gola Maker + Free 12 S..VSRoyal Chef 4 in 1 Drum Slicer Shr.. Royal Chef Gola Maker + Free 12 S.. VS Royal Chef 4 in 1 Drum Slicer Shr..
Royal Chef Gola Maker + Free 12 S..VSRoyal Chef Jumbo Juicer + Multi C.. Royal Chef Gola Maker + Free 12 S.. VS Royal Chef Jumbo Juicer + Multi C..